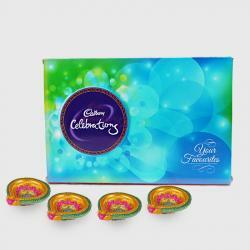 Product Consist : Cadbury Celebration Chocolate Pack (Weight : 140 Gms) with Assorted Fire crackers (Worth Rs.300/-) (Note: Types of Fire Cracker are depends upon their availability no specific choice). Enjoy the celebration of the triumph of good over evil on the special occasion of diwali with family and friends in India. 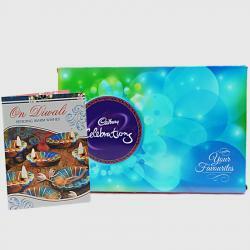 Gift your love ones the combo of Cadbury celebration of net weight 140gms along with the best quality mix crackers . 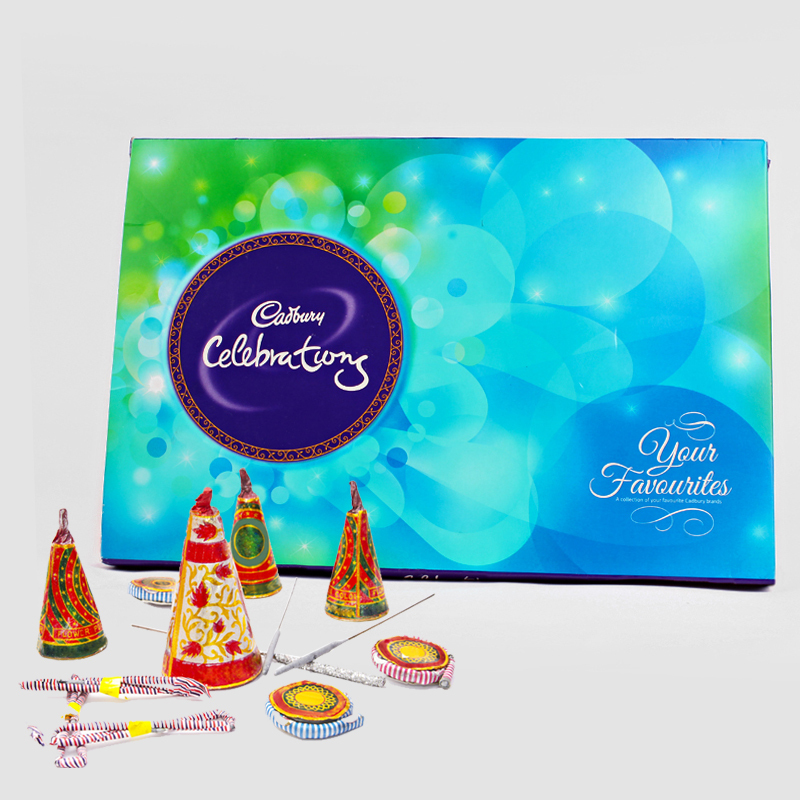 The sweet and chocolaty taste of the chocolate will bring the smile on the face of your children along with cracker which will excite them. The combo has a personal satisfaction which will reflect when face of your children will smile. 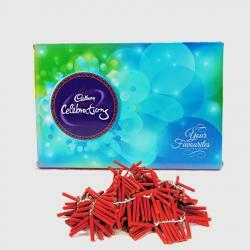 Product Includes : Cadbury Celebration Chocolate Pack (Weight : 140 Gms) with Assorted Fire crackers (Worth Rs.300/-) (Note: Types of Fire Cracker are depends upon their availability no specific choice).